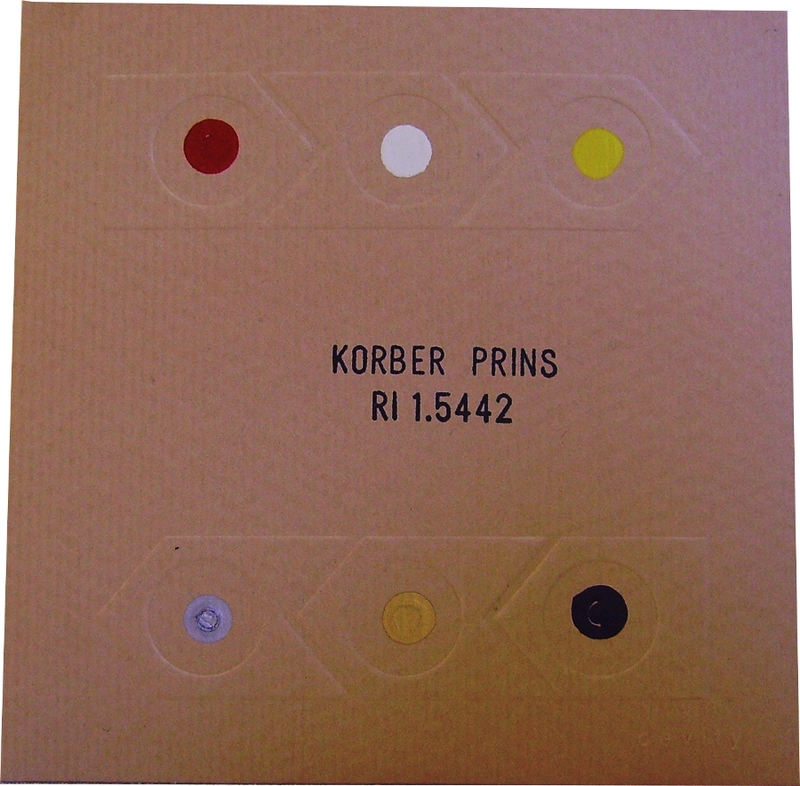 Here’s a substantial chunk of gritty digital minimalism executed by a couple of respected European maestros Tomas Korber and Gert-Jan Prins…RI 1.5442 (CAVITY CD 03) is a single piece 74 minutes in length, and it’s a real endurance test of anti-personnel crackling and fizzing malarkey, bomber aircraft on a sinister mission twinned with the largest shortwave radios to have been used in WWII. Insufferable pulsating twitter and heavy grind, produced only with one guitar and “electronics”, although that term could refer to a mixing desk, filters, printed circuit boards and microphones, and of course powerful amplification. A fine episode of impenetrable glitchy noise fuzz that makes the Mille Plateaux back catalogue sound like a Mozart box set. Embossed and textured card sleeve with blobs of colour and lettering that feels like it’s been made with a John Bull printing set, all in the name of sending out that “utilitarian” vibe, as if this was not an audio product designed for consumer pleasure but a specialist component for use in a munitions factory. After hearing it, you’ll understand what I mean. 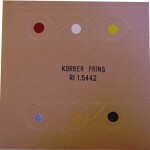 Kabine (APOLLOLAAN RECORDINGS APAN037) is a very limited CDR from Danish field-drone project Stormhat (i.e. Peter Bach Nicolaisen), who has a nice line in combining layers and layers of field recordings with low-key acoustic and digital music, including quite a lot of bells and other percussion. In these imaginary stories and scapes, the weather appears to be perpetually quite breezy and the skies are ever open and blue. In this idealised world, the chattering crowds in a shopping mall are indistinguishable from the babbling of a brook or the buzzings of small insects. Not wildly innovative, but a very nice example from this strand of activity. We must have kept this one in the box for too long as I see it’s already sold out at source, like almost everything on this 50-copies-only art label. Within minutes of hearing Mark Fell‘s Multistability (RASTER-NOTON R-N125), it’s fair to say he fits right in with what I regard as the house style of Raster-Noton. His brilliantly-manipulated digital exploits have all the clean precision of a stainless-steel drawing pen in the hands of a white-suited architect who spends most of his pollution-free day kneeling at the altar of Gropius, as he pours another glass of filtered water from his Bauhaus-designed carafe. Other listeners have found his detailed, tiny internal rhythms can produce the sort of ecstatic trance state that you’d be lucky to achieve without the use of illegal brain-stewing chemicals. Each pulsation knocks and bumps against your lobes with the accuracy of a tiny rubber hammer; Mark Fell (of SND) is somehow managing to create polished sounds and clean lines which have a near-impossible perfection, like machine-honed ball bearings. Also exists as a bundle with a 7-inch single which plays in weird ways on your turntable. I’ve only got a plain white promo package here, so I won’t photograph that, but I hope to find a nice official example of the cover art from the website. We noted Harbour by German creator Lasse-Marc Riek in a previous post, but I find he also sent us a copy personally in September 2010, along with this fine mini-CD Taurion Concert (KAON A01). On this he reworks field recordings supplied to him by Cédric Peyronnet, captured from various vantage points along the Taurion river in France. It’s so varied that in just 19 minutes I feel I’ve been on quite a long journey, one which may have its longeurs and extremely quiet moments, but also a high spot of interest midway where river wildlife appears to mutate into a swarm of looping elements that are every so slightly disquieting. This is much more minimal than Stormhat’s approach, and where Nicolaisen is clearly a friend of the world and all that’s in it, I am starting to form the view that Riek would be much happier if the world were completely empty of people, so desolate and vacant are his aural lansdscape paintings. Another one who mixes up field recordings with music is Chris Abrahams, and on Play Scar (ROOM40 RM437) he creates a pleasant set of relaxing ambient nocturnes using multiple guitar and keyboard overdubs alongside his airy and droney tapes from nature. Abrahams, according to the press note, is trying for the “exotic and unfamiliar”.Veering between the melodic and the purely abstract, he is not afraid to lighten the mood with the occasional tasteful stab of cocktail jazz piano or a lush swelling organ chord in a major key, and will sometimes use his editing suite to compress or elide certain passages together, albeit never in a jarring way. It’s fair to say he has no desire to present a threatening view of the world, and his vision of night-life in the bush is perfectly aligned with the soothing artwork by Tim Williams, where starry skies merge into the trees and long-billed birds are free to wander in peace.